A dedicated, astute copyright advice service from Learning On Screen. We understand copyright law and rights clearance. Using audiovisual material in the classroom, or in academic study can be tricky. Copyright law also states what you can or cannot do with existing materials when producing new work. At Learning on Screen, we are committed to help you understand how you can lawfully use other people’s work, and how you can protect and exploit the work you create. Here you can find what we identified so far as the most Frequently Asked Questions about copyright in education. We also offer the opportunity to deepen your knowledge of copyright through our copyright courses; and to get individual guidance on specific copyright issues via our Copyright Advisory Service (for Members only). Copyright is a set of economic rights that automatically protect certain types of creative works, giving authors the ability to control the use of their work and to earn from it. The copyright owner of a work has the exclusive right to: copy the work (the reproduction right); issue copies of the work to the public (the distribution right); rent or lend the work to the public (the rental right); perform, show, or play the work in public (the public performance right); communicate the work to the public (the communication right); make an adaptation of the work (the adaptation right). Doing any of these acts without permission from the copyright owner will infringe copyright in the work, unless the use is covered by copyright exceptions. In addition to economic rights, authors enjoy certain moral rights. The two principal moral rights in the UK are the right of attribution (sometimes referred to as the right of paternity), which provides creators with the right to be identified as the author of their work; and the right of integrity (or the right to object to derogatory treatment), which allows creators to object uses of their work that are prejudicial to their honour or reputation. Unlike economic rights, which can be licensed or assigned to another person, moral rights remain with the creator of the work and cannot be exercised by anyone else. However, creators can waive their moral rights if they so wish. When you use other people’s work, it is always good practice to give due acknowledgement to the original author/creator. 2) What does copyright protect? Copyright law automatically protects these types of work if they are ‘original’ (they have not been copied from previous works) and in ‘fixed’ form (the work is recorded in material form). Also, it is important to note that copyright does not protect ideas themselves, but only the expression of ideas (the so-called idea/expression dichotomy). Similarly, copyright does not protect facts, information, theories and commonplace themes. 3) Who owns copyright in a work? Do students and staff own work created while at University? In the UK, the author of a work is the first owner of any copyright in it. This means that as soon as you create a work that is original, in fixed form and falls within one of the eight categories of protected works, you automatically own and enjoy the economic and moral rights provided by the law. However, there is an important exception to this rule: all works created ‘in the course of employment’ are automatically owned by the employer unless there is an underlying contract that passes ownership back to the author/creator. In other words, unless their contract of employment states otherwise, the work created by academic staff in the course of their employment – including teaching materials, correspondence, photographs, video recordings, etc. – is owned by the University (the employer). Students, on the other hand, are not normally employees (although postgraduate research students may have contracts of employment) and therefore they usually own rights in the work they create as part of a course (essays, films, theses, photographs, paintings, sculpture, etc.). However, ownership of IP rights in student work is often determined by the University’s IP policy and varies widely between institutions, so it is advisable to consult the policy of your own institution. 4) How can I lawfully reuse other people’s work? If you want to use a copyright protected work as a whole or any substantial part of it, generally you need to get permission from its copyright owners. Copyright works have several rights attached to them and each right may have more than one owner, so getting all relevant permissions may be a long and expensive process. However, permission for certain common uses – e.g. showing a broadcast or playing music in educational establishments – is made easy by organisations such as the Educational Recording Agency (ERA). However, you do not always need permission to use existing works. Permission is not required to use works that are out of copyright because copyright has expired; if your use is covered by a copyright exception such as research and private study or illustration for instruction; and if the work is distributed under an open licence such as Creative Commons. 5) What is Fair Use? Although the term is widely used on social media platform such as YouTube, it is important to note that Fair Use is a US legal doctrine and as such it does not apply in the UK. The UK equivalent are copyright exceptions: cases in which – under certain circumstances and for specific purposes – it is possible to use copyright protected works without permission from the copyright owner. UK exceptions include research and private study, illustration for instruction, criticism and review, quotation, and parody, among others. You can find guidance on each of these exceptions on the Copyright User website. Most UK exceptions are ‘Fair Dealing’ exceptions, meaning that you can benefit from them only if your use can be considered ‘fair’. What is fair or unfair is an issue ultimately decided by courts on a case-by-case basis and considering a number of factors, such as the purpose of the use, the proportion of the work being used, the motive in using the work, and the status of the original copyright work. The courts will test the question of fairness objectively; as Lord Justice Aldous put it in Hyde Park: ‘the court must judge the fairness [of the use] by the objective standard of whether a fair minded and honest person would have dealt with the copyright work [in that manner]. Source: Deazley, R., Copyright and Digital Cultural Heritage: The Permitted Acts—Exceptions to Copyright (2017), The Copyright Cortex. 6) How long does copyright last? In the UK, copyright generally lasts for the lifetime of the author plus 70 years. After that, the work enters the Public Domain and can be freely reused by everyone. In films, copyright expires 70 years from the death of the last to die of the following persons: director; author of the screenplay; author of the dialogue (if different); composer of the music specially created for the film. You can find further guidance on copyright duration on the Copyright User website. The work of great authors and artists is in the Public Domain, including William Shakespeare, Charles Dickens, Oscar Wilde, Vincent Van Gogh, William Blake, James Joyce, Wolfgang Amadeus Mozart, Ludwig van Beethoven, Leonardo da Vinci, among many others. You can freely use any of these works for any purposes, e.g. in your lecture, video essay, mash-up videos, website, etc. However, it is important to bear in mind that: i) copyright law is territorial, meaning that one work may be in the public domain in one country but not in another (in the UK the relevant provisions are those of the Copyright, Designs and Patents Act 1988); and ii) a reproduction or recording of a public domain work often qualifies for copyright protection. For example, if you want to use a Mozart composition in your video, you need to find a sound recording of that composition that is free to use. For a list of sources of public domain materials see the FAQ ‘Where can I find legitimate content?’. 7) Where can I find legitimate content? Wikimedia Commons – Images, sound and video. Most material available at the links above is in the public domain and free for everyone to reuse. However, it is advisable to double-check the usage conditions of each item you would like to reuse. The Archives for Education project makes available various documentaries from the BFI National Archive and BBC Archive for creative reuse by student filmmakers on course-related projects in universities across the UK. 8) Can DVDs bought overseas be retained and used? It is not illegal, per se, to view, or own, video discs legally purchased overseas. In the UK commercial DVDs are classified by the British Board of Film Classification (BBFC) under the Video Recordings Act 2010. Using foreign-bought releases and putting them on library shelves could certainly create difficulties if any of the content of the DVDs was problematic from a censorship / classification standpoint. For further details, visit the BBFC website. 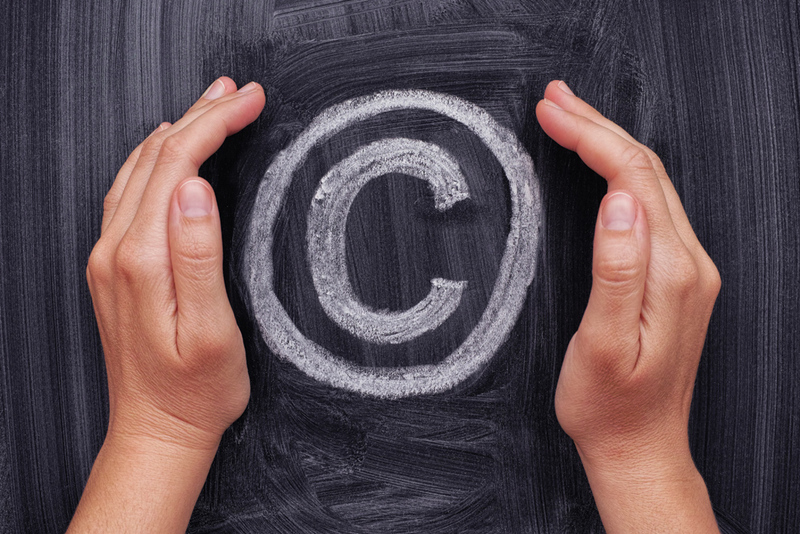 Browse the compiled list of external resources related to Copyright.